This rich, all natural formula is sure to leave her skin looking and feeling great throughout the year! Leave those harmful chemicals and unnatural preservatives behind this holiday season when you present that lovely lady in your life with this Organic Facial Wash. A great idea for Christmas gifts for women who are concerned about the environment, this natural face wash is not only great for her skin, but it’s contained in environmentally friendly packaging and labeling as well! 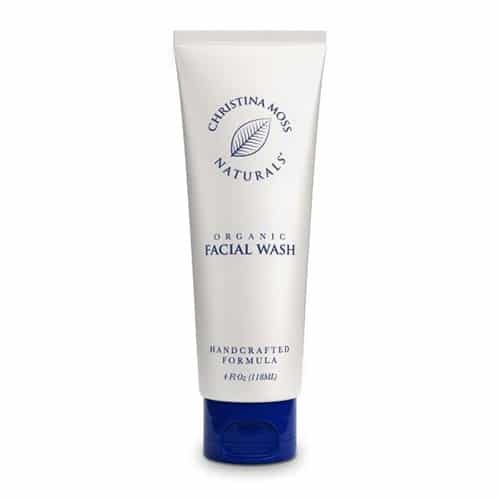 The handcrafted formula of ingredients in this luxurious facial wash is a perfect match for any type of skin. It’s designed to produce a rich, yet gentle lather that rinses away clean without leaving that pore-clogging residue many brands leave behind. Gentle enough for sensitive skin, it doesn’t include all of those harsh chemicals that cause drying, stripping, or irritation. Isn’t it time she felt as good about what was left out of her beauty products as she does about what is inside them? Pamper her with the ultimate natural skincare experience this Christmas! It’s a wonderful addition to her other organic Christmas gifts this year.